Samsung has upcoming flagship smartphone Galaxy Note 9 coming in 9th August 2018 , The Galaxy S8 and S8 Plus was launched in 2017 March then after Note 8 was launched in 2017 August. The Galaxy Note 8 features with 6.3-inch Quad HD+ Infinity display, 6GB RAM, 64GB storage, dual rear cameras , Qualcomm Snapdragon 835 chipset Unlocked version phone launched price at US $929 UK at £869 and the Galaxy S8 with 5.8-inch Quad HD+ and Galaxy S8+ with 6.2-inch Quad HD+ Infinity display was announced in March 2017 priced at $750 and S8+ costs $850 now both price has dropped at available cost $622 and S8+ $719 on Amazon. 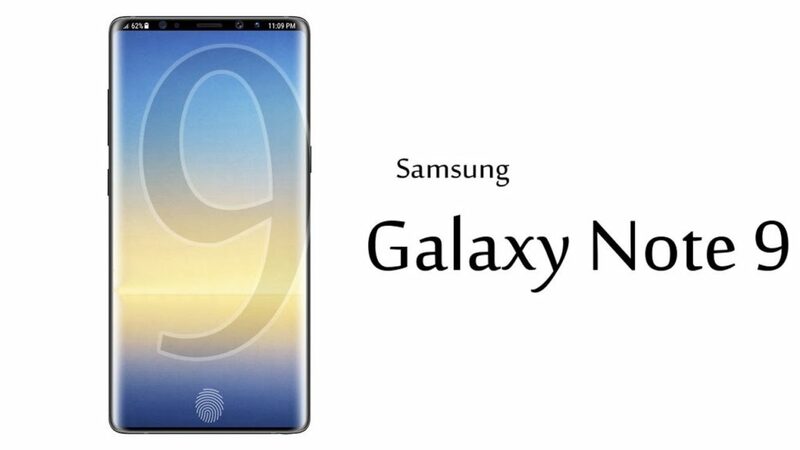 Now the Samsung has planning to launch next series of smartphone Galaxy Note 9 will have full of new technology as iPhone X and Vivo Nex. 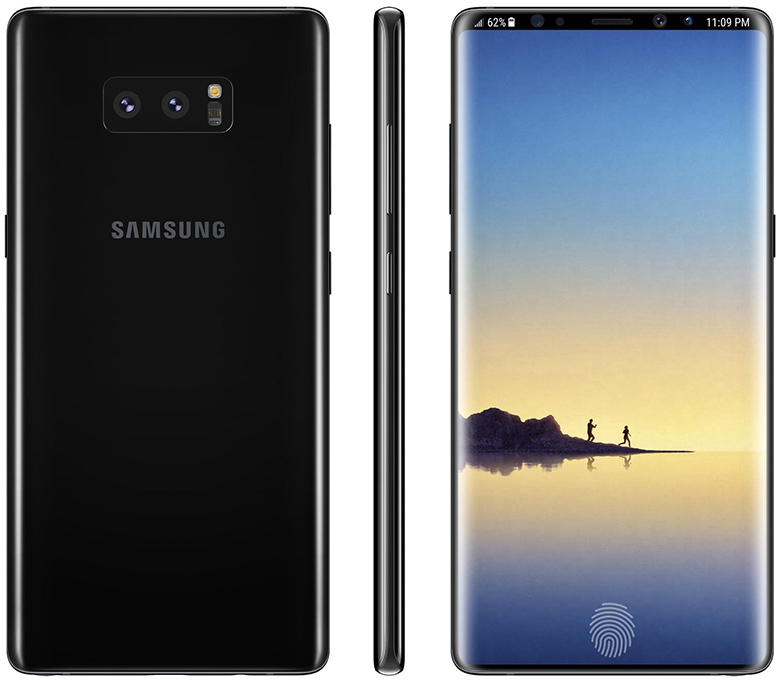 it will far better from iPhone 8 and iPhone X new report leaks by KGI suggests Samsung Note 9 will have under-display fingerprint sensor and QHD+ Super AMOLED Infinity Display with an 18.5:9 aspect ratio according to gsmarena will be powered by new global version Exynos 9820 SoC and US version Snapdragon 845 chipset. The Galaxy Note 9 will be launch in 9th August 2018. 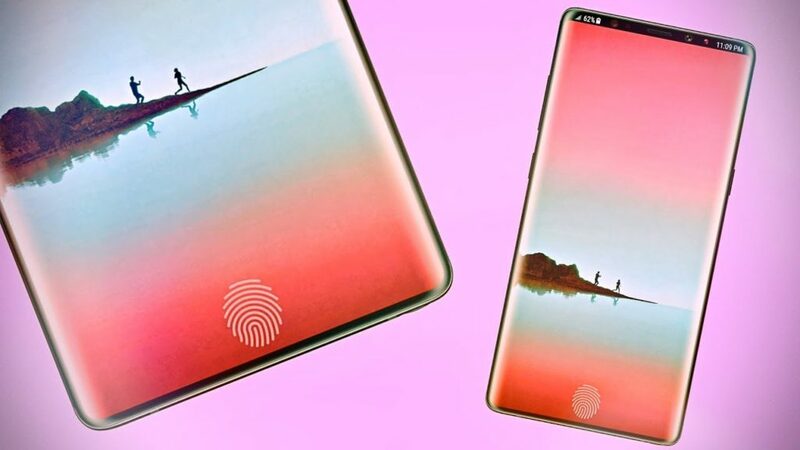 KGI suggests Samsung Note 9 will have under-display fingerprint sensor this could all change this year 2018 as we’re already hearing plenty of rumors that 2018 flagship phones will sport an under-display fingerprint sensor, the latest of which points to the Samsung Galaxy Note 9. Another report tips some of the features of the Galaxy Note 8. 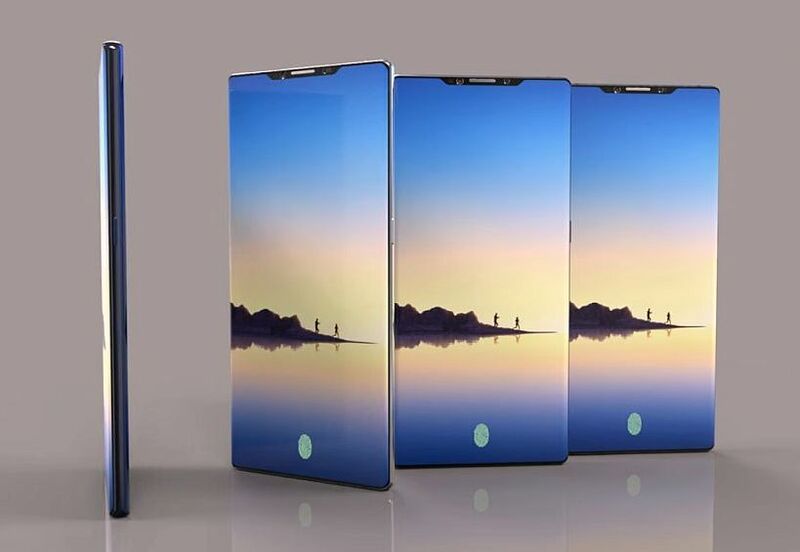 Samsung Note 9 Concept Introduction, Specifications with Full HD+ 18.5:9 aspect ratio with Super AMOLED QHD+ display and Sport Under-Display Fingerprint Sensor in 2018 like Vivo X21 and Vivo Nex. Samsung Galaxy Note 9 Expected Price could be 512GB version of £1150 in the UK (around $1500 / AU$2000) 128GB storage variant that is priced at 1050 Euro (US $1,226 approx). Note : This is leaks suggest by KGI rumors specs and images , The new Samsung Galaxy Note 9 expected release launch in 9th 2018 , it is unofficially yet , So stay tuned for latest updates of Galaxy Note 9 , if you like this post so please share and tweet.